and make Jesus known to all. Why Mpact? Here is what it means! MPACT Youth Ministry seeks to help youth share Jesus Christ, grow in ones understanding of scripture, develop a positive self-image, overcome hardships, develop respect for others, serve those in need, develop a personal relationship with Christ, apply their faith to daily life, and to participate in the Church. MPACT Youth Ministry a place where we will learn to be ONE BODY, serving ONE GOD. 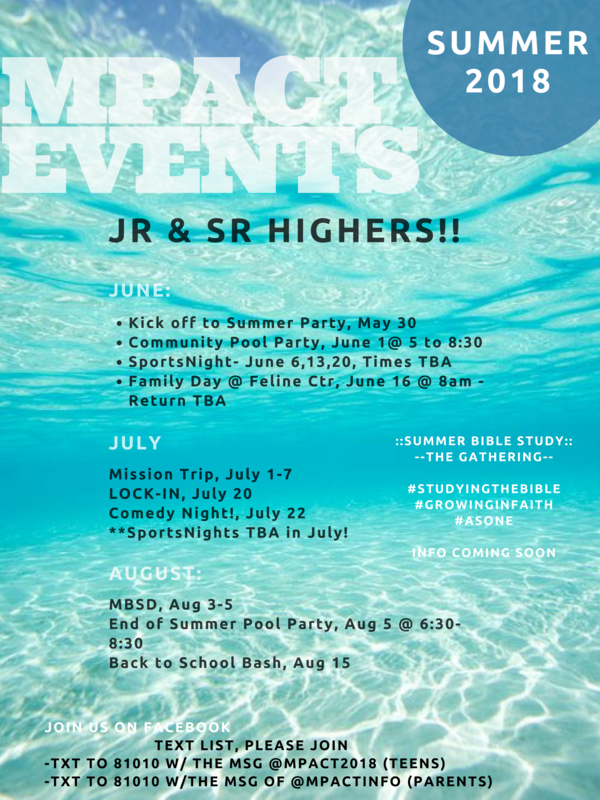 MPACT Youth Ministry is a youth based family ranging from 6th grade to 12th grade that will particapate in activities that will draw themselves and others closer to the Lord. MPACT Youth Ministry is designed to help spiritually train and equip young people in a fun and Godly atmosphere to the Glory of God. JOIN US ON FACEBOOK FOR THE MOST UP TO DATE DETAILS ON TRIPS, LIFE AND MUCH MORE!!!! CLICK HERE TO JOIN US! Below are different downloadable resources you may need for trips, events and well to just have some good ole fun!! 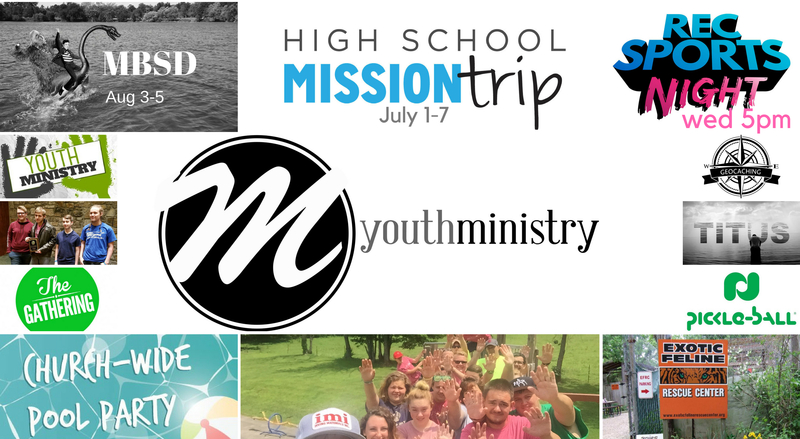 Click here to download the latest permission slip which is required for all MPACT ministry trips. CLICK HERE DOWNLOAD THE CALENDAR!